Jyske Bank is the third largest bank in the Danish market, and second largest Danish bank (SIFI bank since 2014). As of February 26, 2019, it employer 3,698 full-time employees and has circa 180,000 shareholders, with a shareholders’ equity of approx. DKK 31.8 billion DKK. 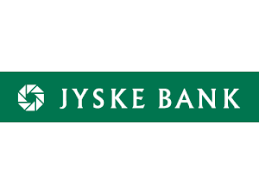 Jyske Bank has a nationwide branch network (98 Danish branches and 2 foreign (October 2018)) and also offers advice via telephone and online media, as well as a number of self-service solutions.